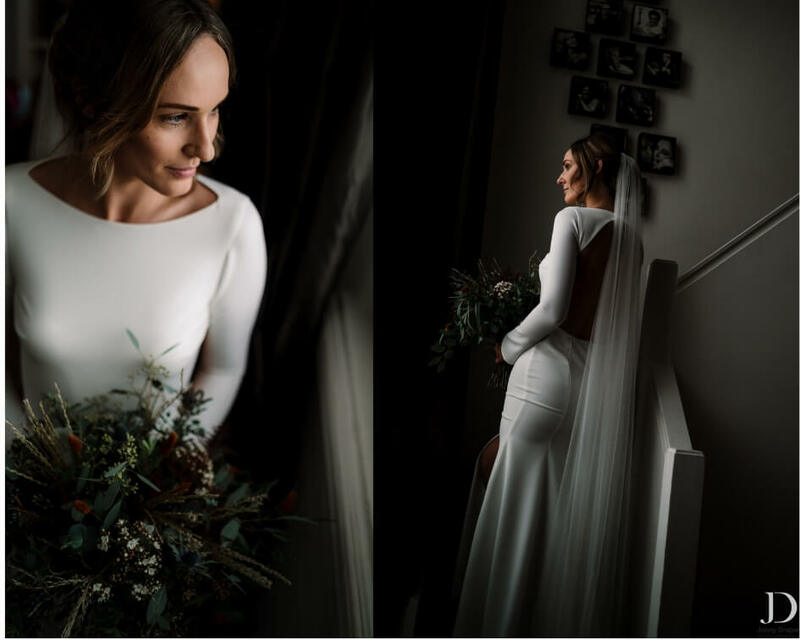 Whitfield and Ward’s Customer Service Manager, Amie married Kyle in a fabulous hygge inspired wedding on the 7th of February. 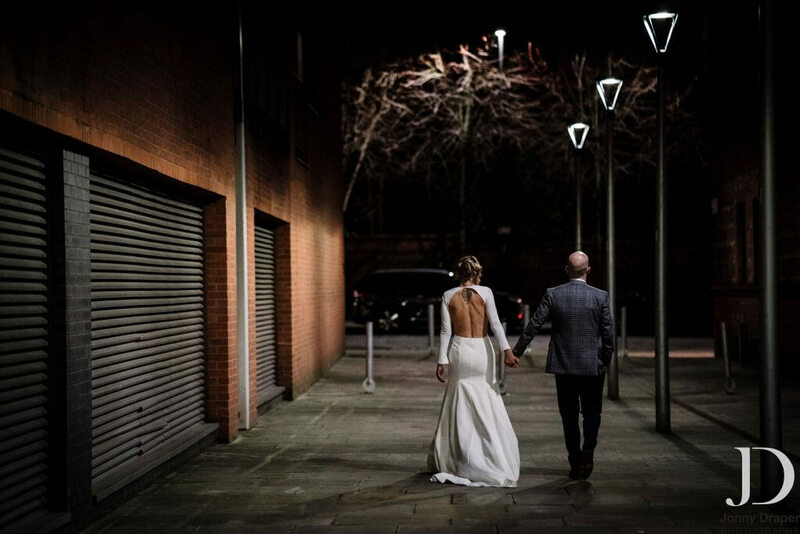 Read on to find out how they created a warm and cosy atmosphere for their hygge winter wedding at Great John Street Hotel, Manchester. 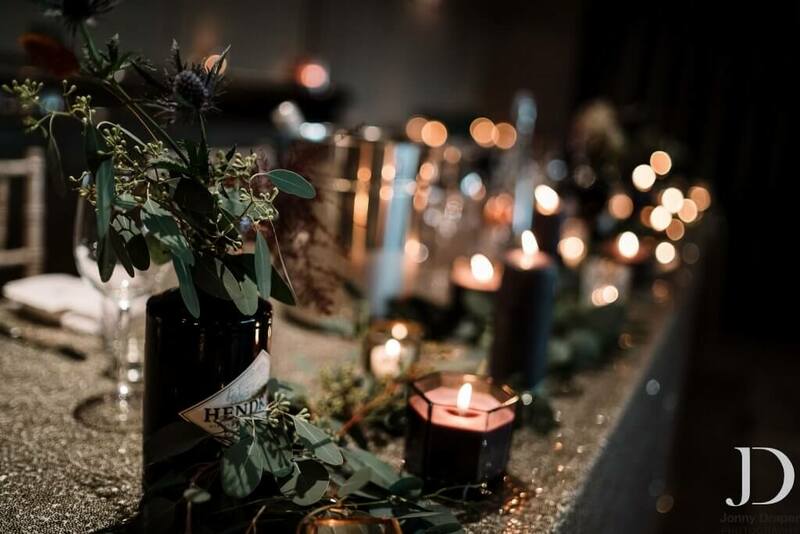 Through Pinterest and online research, Amie came across Hygge weddings, a twist on traditional rustic weddings where everything is pared back so the focus is on the celebration of marriage. It’s about making things simple and creating a day full of wonderful moments. 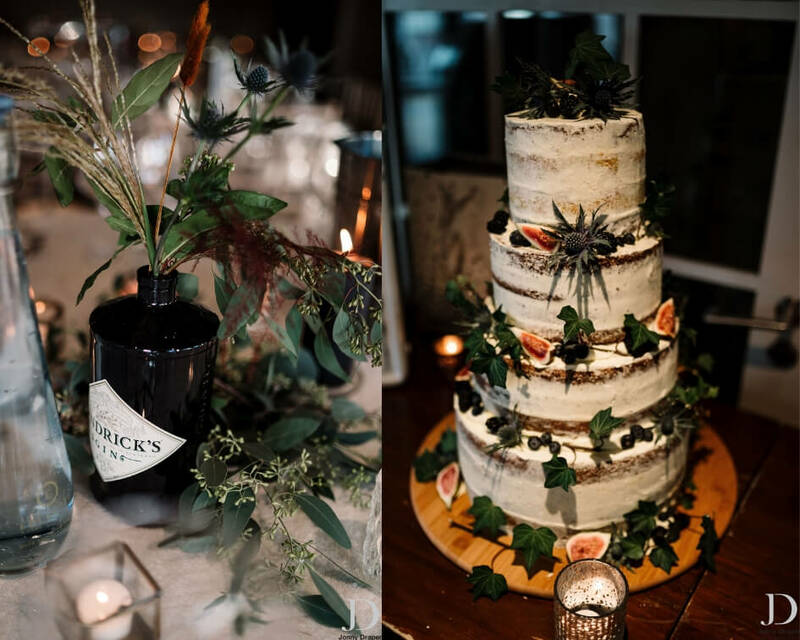 A Hygge wedding encourages you to wear what you want, make your own cake and decorations and even have floral arrangements with no flowers! The idea is make it enjoyable, cosy and do it your own way! 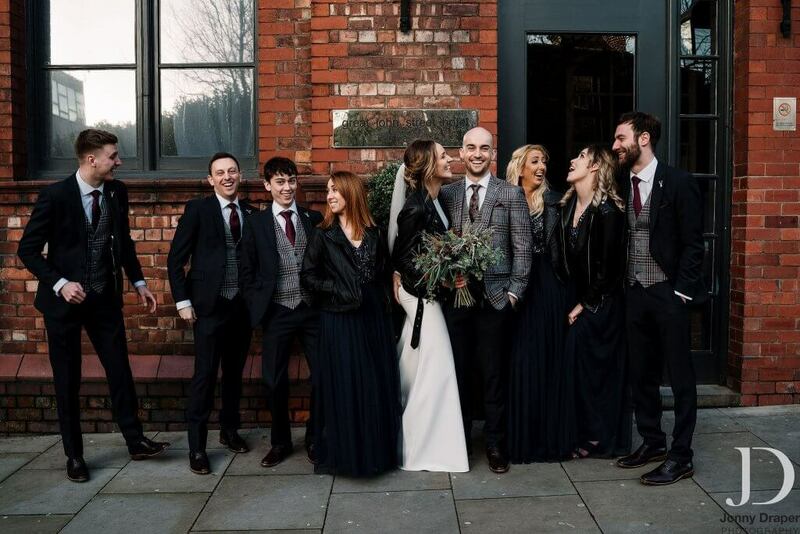 Kyle’s groomsmen complemented his look with our navy Highgrove lounge suit from our hire range and wore waistcoats and ties to match Kyle. 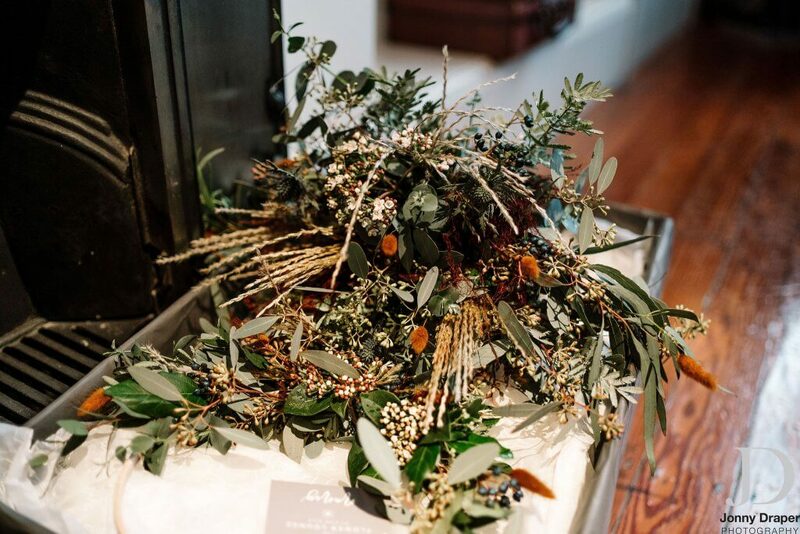 At Whitfield and Ward we understand how much planning goes into a wedding. 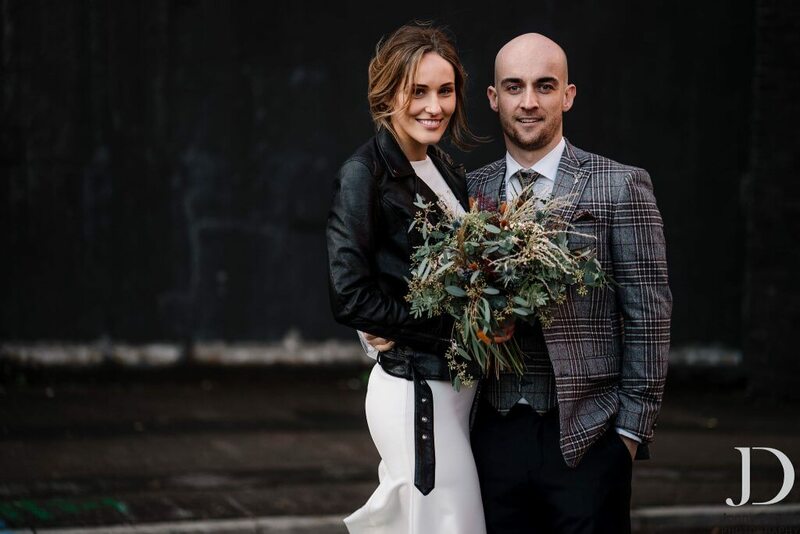 Our business is all about making things easy and Amie and her team will be on hand, every step of the way to help you on your wedding journey. 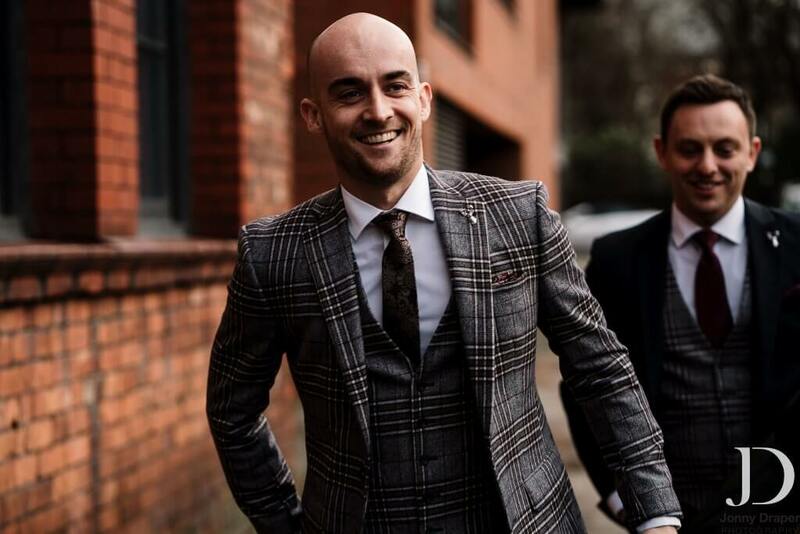 If you’d like to find out about our tailored suits and wedding suit services, call us on 01625 536 545 and we’ll handle the rest!